Why a Sun Plans Home? The leading source of passive solar house designs since 2002! 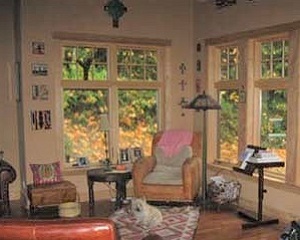 A Sun Plan uses the natural light and heat of the sun to warm and brighten homes. 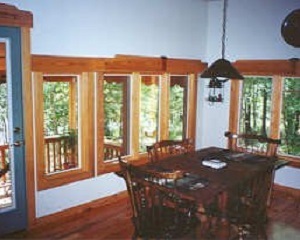 It connects you to nature with carefully placed windows on all sides of the home. It's sun-inspired and nature-inspired! 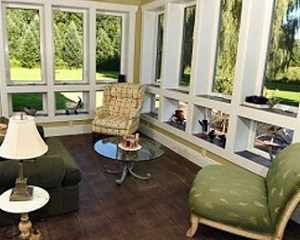 A Sun Plan can reduce energy bills to a fraction compared to conventional house plans. It can achieve zero net energy use when coupled with on-site renewable energy generation...the ultimate in independence! A Sun Plan is typically created by combining ideas from both the home owner and Sun Plans. They can be adapted with Computer Aided Design (CAD) or built unchanged from Construction Prints (blueprints) available from Sun Plans. Building a home is often the largest investment your family will ever make. Let Architect Debra Rucker Coleman help you protect that investment by optimizing the size, space, views, materials, climate & budget. 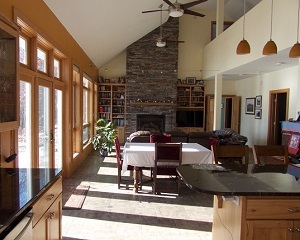 Debra has over 25 years designing low-energy, high-performance, passive solar homes. Whether you choose to select, adapt or create a personalized, sun-inspired home with Debra, we thank you for taking the time to visit our web site!